Dolphins are one of the oldest creatures in the world along with some species of turtles, crocodiles and sharks. The Ganges river dolphin was officially discovered in 1801. Ganges river dolphin was recognized as a separate species in the 1970s, although some controversy remains surrounding its relationship with the Indus river dolphin. 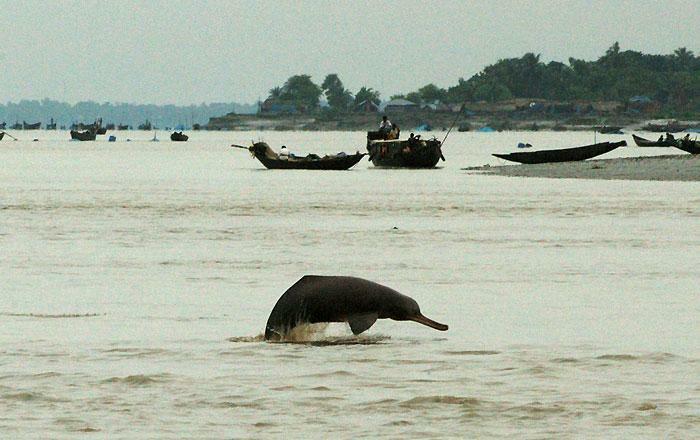 Ganges river dolphins once lived in the Ganges-Brahmaputra-Meghna and Karnaphuli-Sangu river systems of Nepal, India, and Bangladesh. But the species is extinct from most of its early distribution ranges. 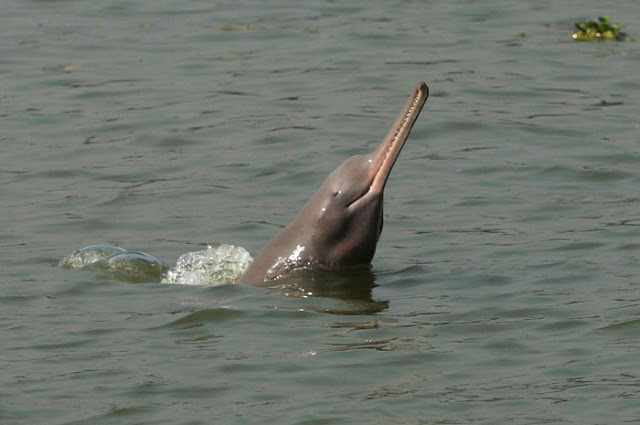 Ganges river dolphin can only live in freshwater and is essentially blind. They hunt by emitting ultrasonic sounds, which bounces off of fish and other prey, enabling them to “see” an image in their mind.